The Dallas Cowboys returned home from Seattle after a week three loss to the Seahawks, and brought with them the clouds of gloom that would need to be left in the Pacific Northwest in order to save the season at AT&T Stadium against the Lions. With the promise of new "wrinkles" on offense from Offensive Coordinator Scott Linehan, it was actually the Cowboys execution on plays that have worked since Dak Prescott's rookie season that made the difference in this win. 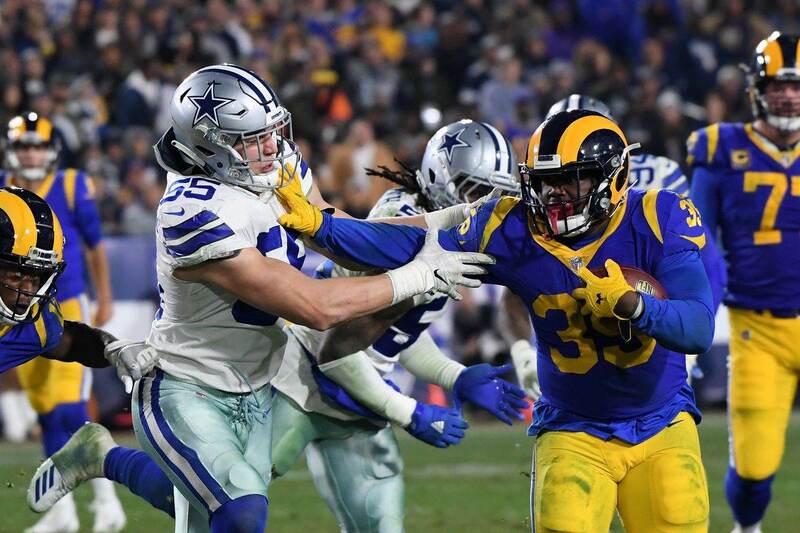 Ezekiel Elliott was as involved as he's ever been, carrying the ball 25 times, catching it another four, and setting up the Cowboys play action game well. As a play action passer, Prescott was 7-10 for two touchdowns against the Lions. I went back to the game tape to study why Prescott and the Cowboys were so effective in the play action game. Here is what I found in this latest edition of Sean's Scout. This PA pass resulted in rookie Wide Receiver Michael Gallup's best play of the season. As I wrote in my breakdown of the Lions secondary coming into this game, this was a defense playing much more single high under new Head Coach Matt Patricia. This alignment put a lot of burden on Detroit's linebackers. Sitting on short to intermediate routes opened up the Cowboys downfield passing attack, which Prescott took advantage of with some precision throws. One of his three incomplete passes on PA should have been another touchdown to Tavon Austin, who dropped the ball at the front pylon. On the first play to Gallup, Cole Beasley does a great job running his post route out of the slot. His ability to get up on the safety makes him late to help on Gallup - who makes an equally great catch over his defender. This next play is one the Lions defended very well. Prescott's first read after carrying out his fake to Elliott is for Tight End Geoff Swaim. The Lions passed up Swaim on his deep crossing route perfectly, forcing Prescott to look to the outside. Not taking advantage of space in the pocket to step up into, Prescott fires the ball without much of a window to Gallup, who's unable to come back to the inaccurate pass. This next clip is a perfectly executed screen pass that Elliott takes the distance. Throwing screens against a team that plays nearly exclusively man coverage is a good approach, and something the Cowboys will always be prepared to turn into big plays thanks to their offensive line. It's the play of Zack Martin and Joe Looney out in space that convoy Elliott to the end zone, but the action on the fake jet sweep to Cole Beasley that keeps the Lions honest. Before the ball is even snapped, Beasley draws a defender off the side of the field that Elliott slips to, and the receiver at the bottom of the screen forces the cornerback to turn his back to the play behind him. When I mention that the Cowboys reverted to plays that were a staple of their offense in 2016, this simple but effective screen game is certainly a throwback to much better times for the Cowboys offense. Prescott does a much better job managing the pocket on this next completion, again going to Elliott. The Lions take away any of the deeper options in this progression, as Austin is forced into the boundary defender carrying the go route up the field. The linebacker trailing Austin is late to drop into coverage because of the play fake to Elliott, who quickly frees himself in the flat to turn this play into a positive. Geoff Swaim's touchdown was more about a great route combination from both him and Fullback Jamize Olawale, but the backfield action with Elliott is what allows for such a wide open throw. Off the line, Swaim takes a fantastic angle, making it hard for any defender to go with him. Olawale sells his route into the flat well, running vertically first to appear as a lead blocker for Elliott. This action takes another defender away from Swaim, leaving just the safety that locks onto Elliott as a distant option to pick him up. The Cowboys would love to see their tight ends get more involved in the passing game, and targeting them with play action is a great way to accomplish this. Prescott was able to do just that on a signature bootleg play much earlier in the game, leading to another big play from Swaim that we'll take a look at next. When this play is working for the Cowboys offense, it is a great sign that they're firing on all cylinders and executing across the board. A depleted offensive line and injuries at wide receiver turned this bootleg play into a scramble drill almost every time a year ago for Prescott, but that wasn't the case early against the Lions. Watch the patience from Swaim to notice his defender slowly flowing towards Elliott. If Swaim sprints out of this cut and into the linebacker, he likely gives Prescott less of a target to throw to. By sitting under the defender and slowly working out to the flat, Swaim ends up with plenty of room to run after the catch. The next two plays we'll look at are both completions to Cole Beasley. While Beasley still has to beat his defender to receive this pass in stride from Prescott, he's given much more space to work with after the play fake. All three Lions linebackers concede the middle of the field as Prescott carries out a delayed fake, with the fullback motion making this look like a trap run. Prescott is looking Beasley's way the whole time, expecting him to get to his spot and delivering an accurate ball on time to move the chains. Running a similar route off the line here, Beasley has to deal with the high safety as he comes across the field. Playing Cole's route well until he breaks it back to the outside, Prescott hooks up with his favorite target to convert a huge first down. Subtly, Prescott was able to look Allen Hurns' way as he settles into the pocket just long enough to get the safety leaning that way, creating an even bigger window to fit the ball to Beasley with room to run after the catch. This last play was not a well executed one for the Cowboys offense. This time, Swaim does not take a good angle coming from left to right, running up the field into Gallup. 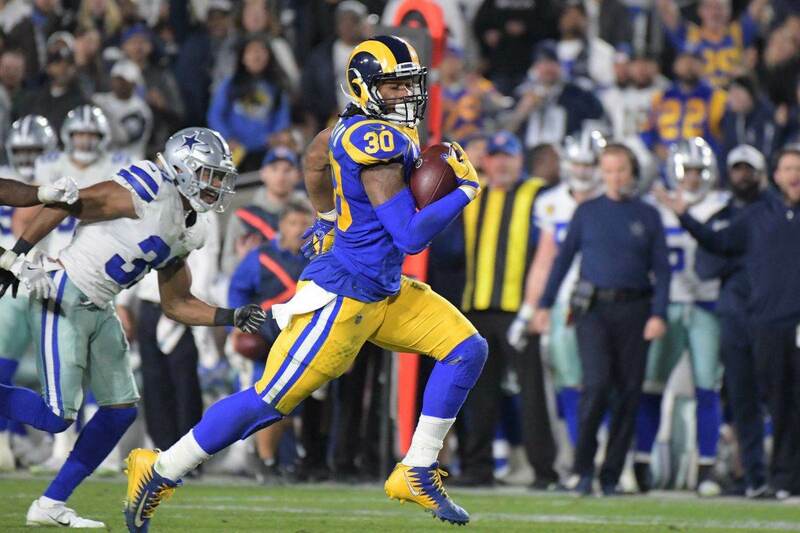 If he's able to stay flat, even with Prescott under fire from the snap, he may have been in position to score his second touchdown of the game. Elliott's speed to sprint out of the backfield also gives away that Prescott is keeping this ball, yet it's not until after Dak releases it that Elliott uncovers himself. 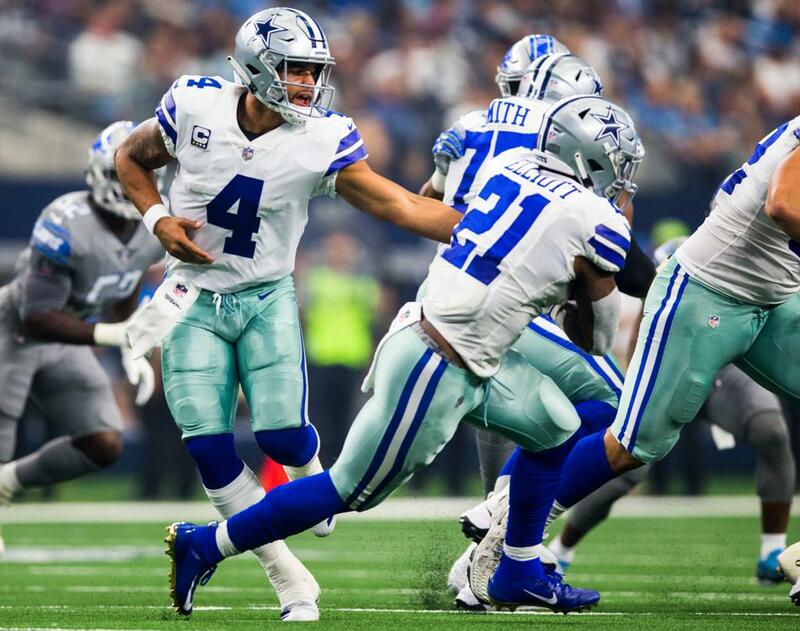 Dak Prescott went on to complete a total of 17 passes on 27 attempts, gradually bringing the Cowboys offense back to form with an efficient game sparked by Ezekiel Elliott. The Cowboys letting their best play maker turn loose came at the perfect time, as they finished the first quarter of the season 2-2 despite looking lost on offense at times. 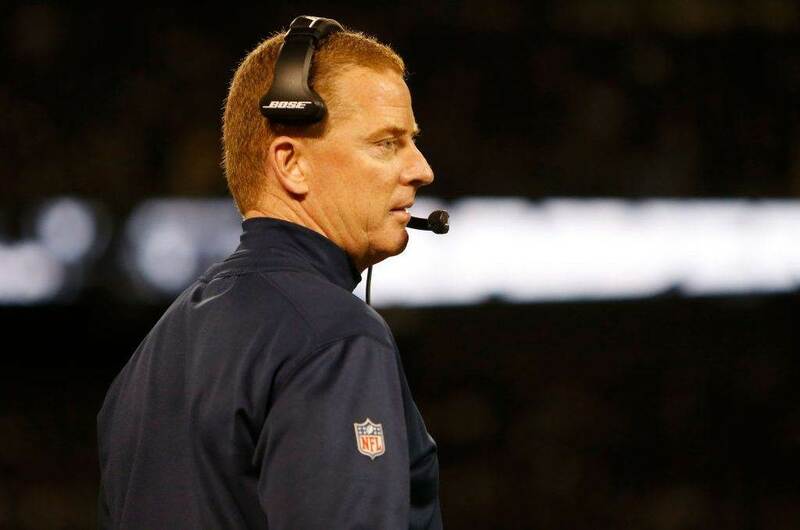 Being an effective play action team moving forward could see the Cowboys not only remedy these woes but snap off a winning streak similar to that of two year's ago. With no team taking early control of the NFC East, that may be all it takes for Prescott and Elliott to prove the Cowboys are here to stay. Tell us what you think about "Sean’s Scout: Evaluating Dak Prescott As a Play Action Passer Against the Lions" in the comments below. You can also email me at Sean.Martin@InsideTheStar.com, or Tweet to me at @SeanMartinNFL!